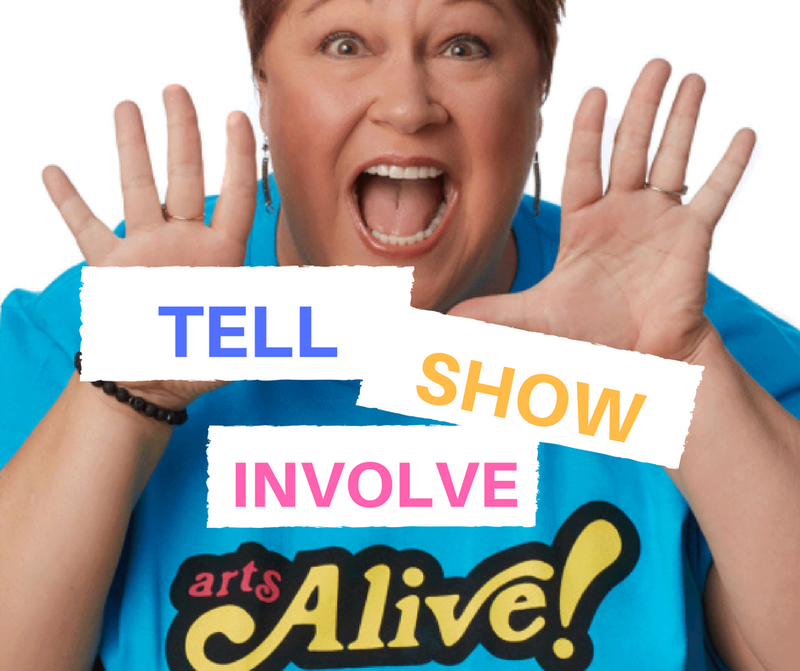 Teaching Tip Tuesday – Arts Alive! It is #teachingtiptuesday and we have a good one for ya! At Arts Alive! we encourage our teachers not to start lessons with questions– especially not questions that only a few students will be able to answer based on their experience outside of the lesson! Instead, we TELL, SHOW and INVOLVE our students– setting them up for an experience of success and successfully educating them along the way! We start by TELLing students information instead of asking questions. Then, we SHOW our students the object of our lesson through visual aids or props. Finally, we INVOLVE our students in a physically engaging activity that immerses them in the object of our lesson. We do all of the above INSTEAD of beginning with a question, because at Arts Alive! we want all of our students to feel successful! The definition of teaching is to show or explain, not to ask! Check out our professional development offerings!